The Polk County Sheriff’s Office, in conjunction with the Polk County Criminal District Attorney’s Office, is reporting the arrest of a Big Sandy ISD high school principal on November 17, 2014. Kevin Raymond Ivy has been charged with one count of Improper Relationship between an Educator and Student, a Second Degree felony, and one count of Sale/Distribution/Display of Harmful Material to a Minor, a Class A misdemeanor. Ivy was being held at the Polk County Jail on two bonds of $12,000 set by Precinct One Justice of the Peace Darrell Longino. A tip to law enforcement prompted the investigation into Ivy, age 36, of Big Sandy, which then revealed a series of text messages allegedly sent by Ivy to a female Big Sandy high school student containing sexual content. Ivy has been previously employed in various professional capacities at the Belton, Hudson, Woden, Onalaska and Hallsville Independent School Districts. The Polk County Sheriff’s Office has requested that anyone who may have information regarding this case or similar situations involving Ivy contact Lt. Craig Finegan at 936-329-9028, or submit an anonymous tip through Crime Stoppers at 936-327-STOP (7867). All tipsters will remain anonymous and are eligible for a cash reward. 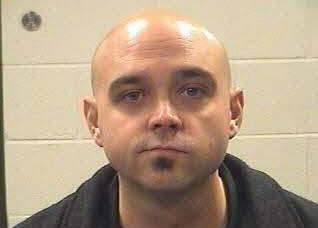 36 year old Kevin Raymond Ivy is on leave from Big Sandy ISD. Principal Allegedly Sent Sexually Explicit Messages to Student, BIG SANDY, November 17, 2014 - The Polk County Sheriff's Office has arrested a Big Sandy ISD high school principal after a preliminary investigation involving an improper relationship with a female student. Other students came forward after finding messages on the phone of the female student. She reportedly left her phone in the care of some friends when a message from the principal allegedly came to her. The other students looked at previous messages on the phone and brought them to another teacher. Kevin Raymond Ivy, 36, of Big Sandy, is charged with second-degree improper relationship between an educator and student and sale/distribution/display of harmful material to a minor. He was arrested today (November 17) and his bond was set at $12,000. Ivy was previously employed by schools in Hudson, Woden, Belton, Onalaska and Hallsville.